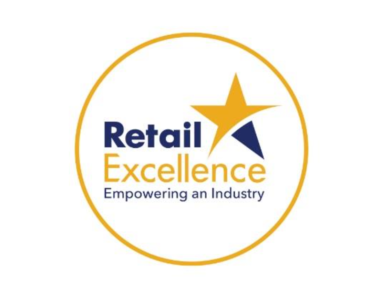 Retail Excellence, Ireland’s largest retail industry representative body, will host their 7th Annual Retail Retreat & Expo in Citywest Hotel and Convention Centre next Tuesday and Wednesday the 15th and 16th of May. With 2000 delegates, 160 cutting edge expo partners, 70 world class speakers and the Global Retail Council hosting their mid-year meeting there, this year’s Retail Retreat promises to be a spectacular unmatched in previous years. Featured speakers include CEOs and business leaders past and present from Victoria’s Secret, Applegreen, Leon restaurants, John Lewis, Dreams, Woodies, Aldi, Harvey Norman, The Retail Doctor with Brian Cody, David McWilliams and Charles Lewington an advisor to former British Prime Minister John Major also contributing. Throughout the duration of the event, attendees will learn about a diverse range of retail aspects to include how to re-retail, the ten pillars of retailing excellently, selling online to China, the opportunities Brexit presents, customer service, retail crime, the food revolution, the GDPR, how to deliver an experiential shopping environment and the future of retail. The Expo will also feature 150 cutting edge expo partners focused on meeting retailers needs from payments and technology to ecommerce, innovation, legal, accountancy, education, retail finance, financial planning, security, cash in transit and many more supplier solutions. One of the highlights of the 48 hours, will be the Retail Retreat and Expo Dinner which will take place on the evening of Tuesday May 15. Delegates will be treated to a fireside chat with Irish Rugby legend, Paul O’Connell, who will be interviewed by RTE Sports Broadcaster, Evanne Ní Chuilinn, and will discuss the importance of leadership and motivating your team. CEO-designate of Retail Excellence Lorraine Higgins said “The Irish retail industry is changing – rapidly. Online has become a bigger disruptor to the high street than we ever envisaged and the reality is that the consumer will not leave their laptop unless you offer something experiential, different and memorable”. The theme of this year’s Retreat and Expo is “Rethinking Retail” and delegates will be treated to insights on the latest trends emerging in the industry and how to embrace them. “Our overarching aim is to help Irish retailers rethink their retail and arm them with insights required to deal with today’s challenges so they can survive and thrive in the industry. So, over 48 unmissable hours the Retail Retreat will bring together world-class speakers and famous iconic retail leaders who will inspire, motivate and empower you to drive change and success in your business and across the channels and customer touch points thus encouraging more people over their premises threshold”. “The event will be home to multiple stages over the two days including a This is Retail stage, Retail in Motion, Retail Insights, Innovation, eCommerce, Payments and Tech and Suppliers solutions not to forget a new addition in the artisan food village providing sustenance to all delegates”. “The significance of retail to the Irish economy cannot be understated with Irish retailers contributing e7 billion to the Exchequer annually and 282,000 workers employed in the industry. This is why the development of top class retail standards and skills, the promotion of vibrancy and competitiveness are essential to its future. Consequently, the Retail Retreat is simply unmissable for all discerning retailers who want to engage their customers, increase sales and loyalty while asserting their position in the marketplace” Lorraine Higgins concluded.